Looking for any branded Toaster Oven ? Try this Black & Decker TRO1000 800-Watt 9-Litre Toaster Oven. it is 800W of Power Adjustable Timer Wire Rack & Food Tray Handle 9 Liter Capacity Power on Indicator Toaster/Bake/Broil Function. Flipkart is selling Black & Decker 9-Litre TRO1000-B5 Oven Toaster Grill (OTG) at Rs 1549 only. So, get ready !! 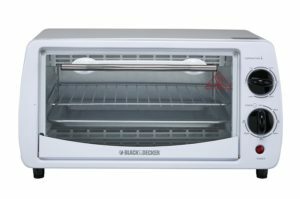 How to buy this Black & Decker TRO1000 800-Watt 9-Litre Toaster Oven ? 4. Enter your delivery address details or select one of the addresses already in your address book. 5. Select payment method from Card/Netbanking/Gift Cards Balance. You can also choose “Cash on Delivery” if available. 6. Place your Order and Pay. Complete the remaining process and your order will be placed.